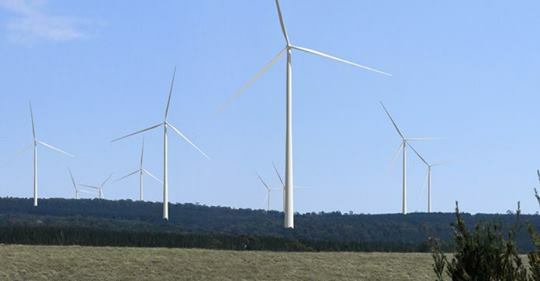 Environment group Friends of the Earth Melbourne are pleased to see a new wind farm proposed for the Latrobe Valley and say the project shows state efforts to tackle climate change are gaining momentum. The group that led the community campaign for a Victorian Renewable Energy Target says the Delburn Wind Farm is a sign the state’s energy sector is in transition. “Victoria’s energy system is shifting from polluting fossil fuels towards clean renewable energy and it’s good news for efforts to tackle climate change,” said Leigh Ewbank, Friends of the Earth’s climate spokesperson. Osmi’s proposal will feature a community “co-investment scheme” to allow communities to own a share of the wind farm: “Making the Delburn wind farm available for community co-investment is a fantastic way to enable people in the region to part-own local renewable energy generation, directly benefit from it, and create new climate jobs,” said Pat Simons, Friends of the Earth’s renewable energy spokesperson. First published by Melbourne FOE here. Next Next post: How long has Gippsland been Warming?